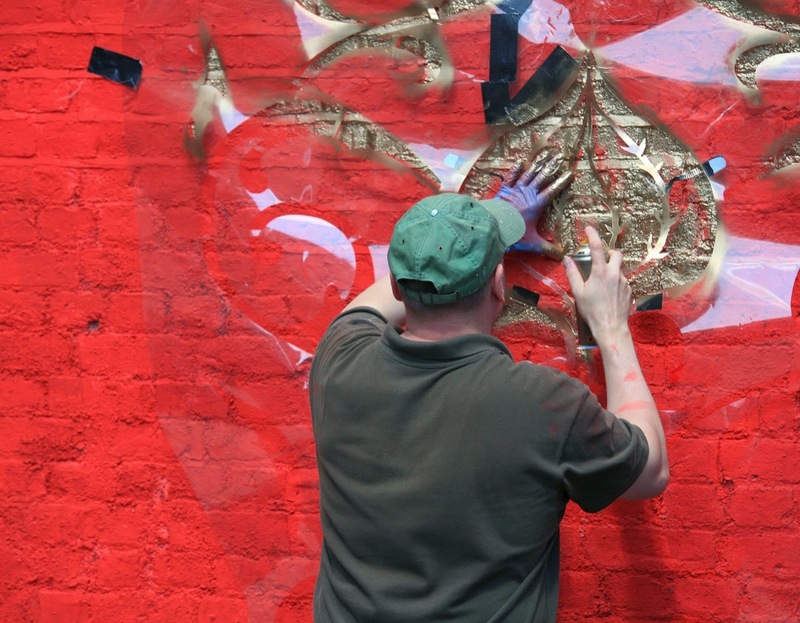 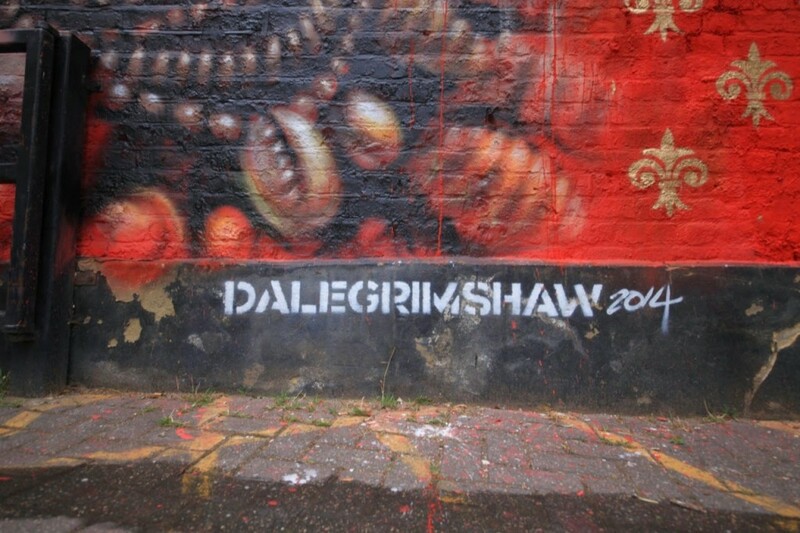 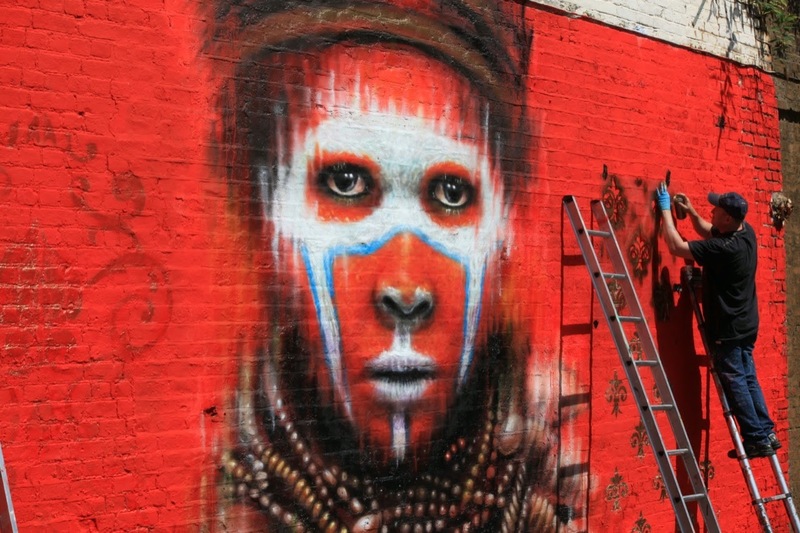 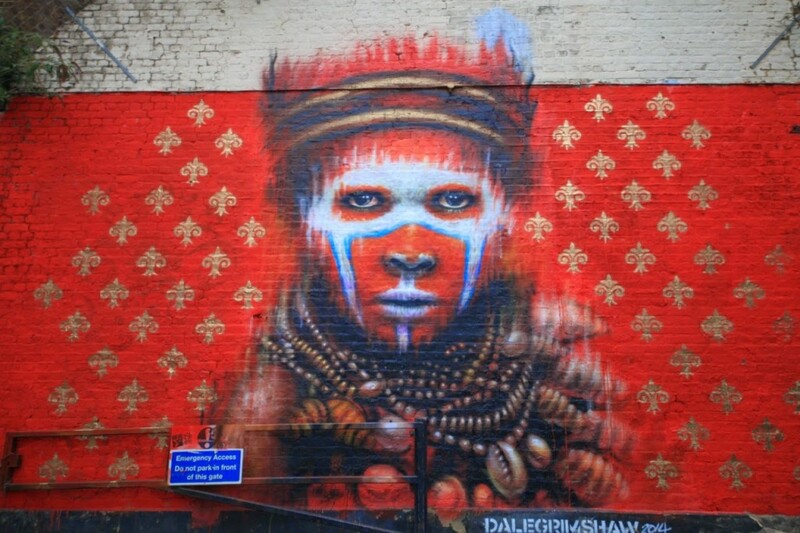 One of the most recent murals we can find in Camden Town, London, is Dale’s Grimshaw tribal inspired painting. 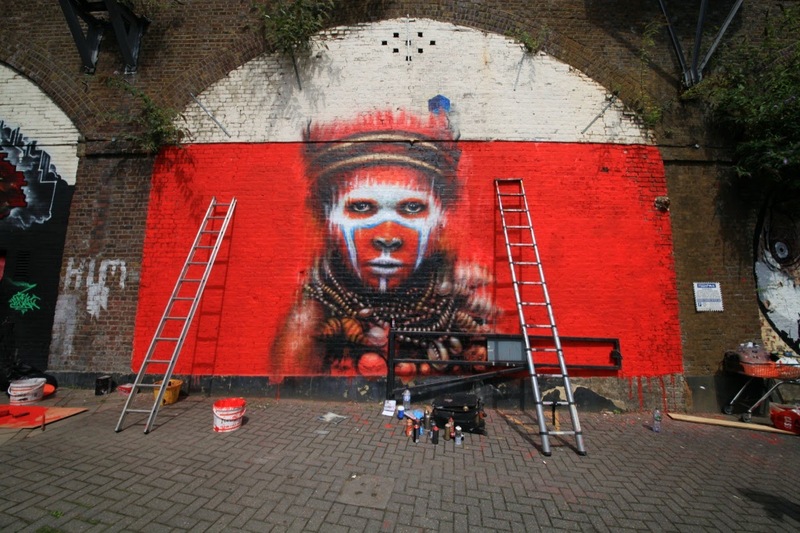 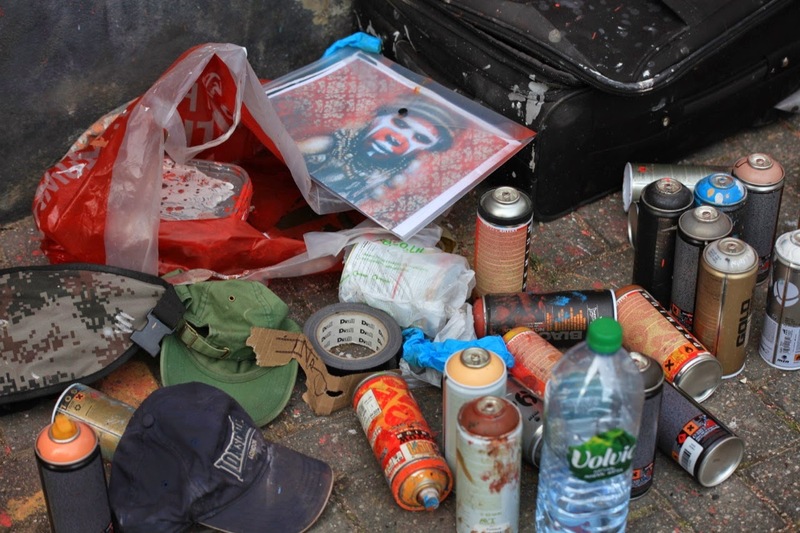 This is another piece of art from his latest murals “Tribes People”. The focal point in his work is the piercing and mysterious eyes of his characters. 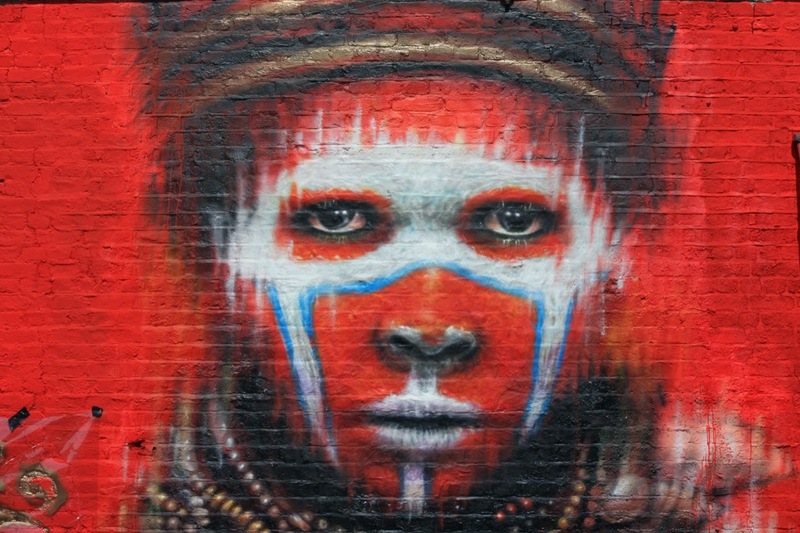 The blurry outline often used in his art draws attention to the facial expression giving volume and the illusion of motion. 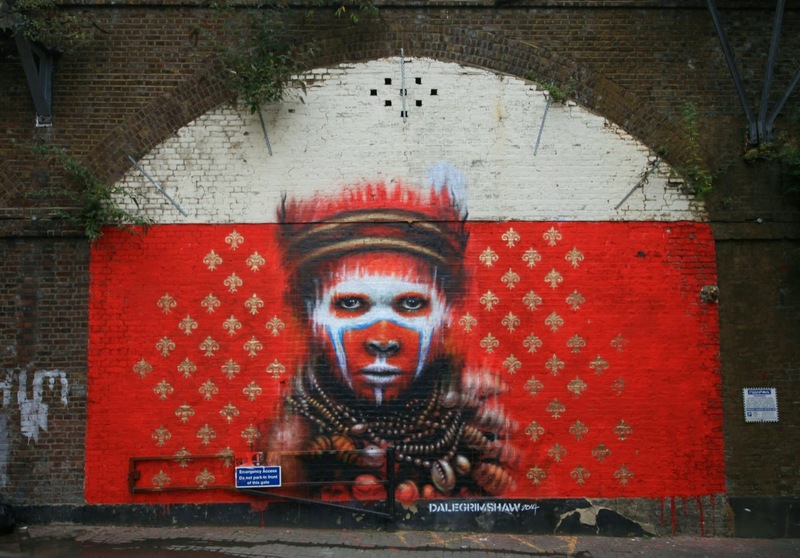 You can check his work on the website or on a trip to London.